Taking your camera or smartphone on whitewater rafting or kayaking expeditions is a temptation that is often too great to pass up. There is good reason, too. We live in an age of social media and love inspiring our friends with pictures of highlights in our lives. Furthermore, electronics have become less bulky, more water-resistant and simpler to operate on the move. If you foresee wanting to bring your electronics on an expedition down the river, this is a guide to choosing the right equipment and accessories to do so. From waterproof phone cases to desiccant bags, there are lots of options out there for keeping electronics dry on the river. We will cover a wide range of electronics, products for keeping them dry and even accessories other than cases. We will also cover a range of prices to suit everyone from first-timers to true river rats. Additional info will include the best points on a rafting trip to take pictures, how to keep your kids’ electronics safe and more. Capturing great moments on the river means having memories for a lifetime. 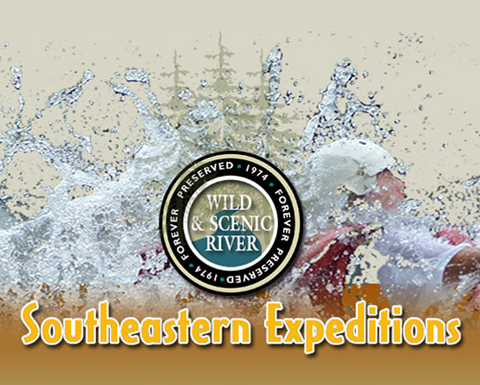 So get ready to keep your gear dry as you paddle, zip and splash down America’s oldest highways! There is a hierarchy of preferable electronics to bring with you on a river. Phones are fine. Cameras are fine. If you are planning on doing an overnight trip, though, you may be tempted to bring along the laptop — but don’t do it. No amount of waterproofing can protect your electronics against the chance of being spilled out of the vessel. In general, try to stick to handheld devices on the river. DSLR cameras are pushing the limits as far as size goes, but it’s understandable to want to be able to capture a high-res image of such a special occasion. It should go without saying, but accessories like earbuds and Bluetooth devices should not accompany you on the river. It won’t benefit the camaraderie of the group if you are pulling out your camera to capture the rapids right as you’re dropping into them. Pictures are best taken in still sections where paddling is not needed, or when the rapids have just ended and everyone is soaking wet. Do be aware of your surroundings when reaching for your camera. Waterproof Phone Cases: There are several waterproof phone cases on the market, including the Expansys waterproof case. The benefits of a waterproof phone case are that they protect phones from water while allowing partial use of the phone. That means you can operate the screen through the front cover. If you use a waterproof phone case, also buy a lanyard and some marine rope. This will allow you to attach the phone to your life jacket so it doesn’t sink to the fathomless depths of the river wild. Dry Bag: The next thing you’ll want is a dry bag. You’ve probably seen these — they’re made of waterproof fabric, and the opening rolls up and buckles together to keep all water out. This is an excellent place for wallets, jewelry and even your phone when you’re done with it. An added benefit of the dry bag is that you can fill it with some air for flotation. Marine Rope: This is another must-have. This type of rope floats on the surface of water. It’s also soft on your hands even when it’s wet, sturdy and resistant to mildew and water rot. It is also thick and compressible, making it easy to grip. You can buy this type of rope from certain marine stores. Pelican Case: If you absolutely must bring an expensive DSLR camera on the river, protect it properly with a pelican case. These aren’t cheap, but neither is your camera. A pelican case provides complete waterproof protection as well as protection from impacts. A dry bag can serve as a flotation device. Other ideas include attaching your phone to your lifejacket or keeping a piece of foam tassled to it. At any rate, always be sure that your electronics will not sink if they get separated from you and enter the water. This way, even if you are in the middle of a rapid when you lose your phone, it will float through and be retrievable at the bottom. Simple: leave them on shore. It’s better to keep a one-phone-per-group rule in families. The more phones on the river, the greater the chance of losing one. If you want to truly appreciate the age we live in, get your hands on a piece of technology from the 1990s. Whereas a small child can intuit how to shoot video on an iPhone, it takes a veritable scientist to figure out how to shoot video on a pre-Steve-Jobs video camera. Besides simplicity, though, another advantage of sleeker electronics is a greater ability to be waterproof. Whereas older electronics featured an incredible number of buttons — and, as a result, a lot of cracks for water to seep in — newer electronics like iPhones are marketed as being water-resistant. This means a lot fewer worries for those of us who like to take our phones with us on the river. Still, it’s always necessary to keep your phone in a waterproof case on rafting or kayaking trips. Another piece of technology that’s even better suited to adventures like rafting is the GoPro. This hi-res, completely waterproof unit attaches to the top of your helmet and is ready for all kinds of adventures. In fact, it was marketed specifically for outdoorsy types. One of the most incredible features of newer GoPro cameras is their ability to record up to five or six hours of footage on a single charge and memory card. If you have a GoPro, it’s the optimal choice for capturing live footage of the river — including those wild moments in the rapids. Whereas you would never want to have your smartphone out while you’re plunging down a Class IV, a GoPro will sit unnoticed and record the whole experience from a first-person perspective. It won’t even complain about all the water. DSLR cameras are still largely very vulnerable to water. While a DSLR is the best option for capturing professional-quality pictures on the river, there is a compelling cost-benefit rationale behind choosing an iPhone or another smartphone instead. First, the smartphone is easier to keep safe and takes absolutely stunning photos. New iPhones feature a 12-megapixel camera that can capture incredible detail. For the lowest chance of damaging an expensive piece of equipment, we recommend using either an iPhone in a waterproof case or a GoPro. There are lots of compelling reasons for insuring your precious electronics, particularly if you plan on bringing them with you on the river. For one, electronics insurance protects you from a lot more than river damage. It can protect you from theft, accidental drops, liquid spills, immersion in water, power surges and screen damage. For an iPhone, coverage may be between $100 and $200 for 2-year protection. That’s much less than the cost of a new phone. When it comes to whitewater rafting and kayaking, it pays to insure what you can. Losing your phone or expensive camera in the river can ruin a trip. Don’t run the risk of your trip down the river turning into a bummer — insure your equipment! This coverage is for more than smartphones and cameras, however. It also extends to laptops, computers, iPads, tablets, e-readers, iPods and gaming systems. Often, insurance can mean quick repairs and a functioning device delivered to your doorstep. How many of us have dropped a phone and winced as we turned it over to inspect the damage? Imagine not having to worry about replacing your phone even as you take it down a river with you. Even if you are only going rafting for a weekend, this is still a good deal with the price of smartphones these days. One precaution everyone should take is to back up their phones and cameras before setting off on the river. This way, if you lose it in the water, at least you’ll have all your photos and important information stored for the next phone. Ziplock Bags: We mentioned earlier that we’d include items to fit a wide range of budgetary constraints. Well, Ziplock bags are about as cheap as they come, and they are perfect for waterproofing on a budget. One important note, though: don’t buy off-brand Ziplock bags. The cheaper alternatives are notorious for leaks, which essentially defeats the whole purpose of the bag in the first place. Use Ziplock bags for key storage hitches, phones, wallets and other personal items. Desiccant Bags: Desiccant bags are those tiny, teabag-like pouches that come in shipping boxes and warn “do not eat.” Start a jar in your home and accumulate as many as you can or go out and buy a container of them. They are extremely useful for keeping moisture out of your waterproof cases. If you are using a Ziplock bag or a waterproof phone case, keep one desiccant bag in each to absorb the moisture that comes off your fingers when you handle the phone. Lens Cleaning Liquid: The number-one rule of cleaning a lens is not to use water — particularly not river water, which is full of minerals and other particles found in nature. Because spots can collect on your lens, a lens cleaning liquid can guarantee a quick clean with just one spritz. Microfiber Lens Cloth: Lenses are easily scratched or damaged, particularly in the field when conditions are suboptimal. Because river water contains lots of minerals and produces a lot of splashes, it’s important to have a microfiber cleaning cloth to keep your lens from accumulating water spots. Keep the cloth in its own pouch with a desiccant bag to avoid having it soak up water. Spray the lens cleaning liquid onto the cloth and then apply it to the lens. Air Blower: In the outdoors, a pristine lens can be a magnet for dust, dirt and pollen. Whereas a lens cloth is good for wiping away moisture, trying to wipe away dirt can potentially gouge your lens. For this, it’s better to use a manual air blower, which releases puffs of air that blow away the particles. Use a microfiber cloth after using the manual air blower. GoPro: As we stated earlier, a GoPro is an excellent option for anyone wanting to capture exciting moments. If you are hoping for video footage of the cool things you do, a GoPro is the best option. This gives you the freedom to focus on the task at hand and not the filming of it. Point and Shoot Camera: Point and shoot cameras are still an excellent option for anyone who wants excellent picture quality but are not interested in the technicalities of DSLR cameras. New point-and-shoots have tons of memory, a small size and even some waterproofing. Some great options are the water-resistant Olympus Tough TG-5, the waterproof Nikon COOLPIX AW130 and the ultra-thin Sony Cyber-shot DSC-TX30. Smartphone: Some professional photographers have aroused the fury of purists by shooting entire exhibits with their smartphone. Regardless of your opinion on the matter, the point is this: smartphones offer competitive cameras. If you are looking for ease of operation and simplicity, consider just taking your iPhone or another smartphone along for the ride. DSLR: For some, trying to take great photos on a smartphone is like asking Eric Clapton to rock an arena on a ukelele. For those who want full control over their photography, a DSLR camera is the way to go. Just make sure to follow our rafting tips and tricks for keeping expensive equipment safe and dry. Raft1 has long been committed to giving our guests the best experience possible. That’s why we offer photography of your expedition, courtesy of our awesome guides. We don’t just want to make memories — we want to make the memories last. If you want to focus on your trip without worrying about buying extra gear and potentially damaging your electronics, simply let Raft1 capture the highlights of your trip. We have lots of experience in photographing groups on a beautiful river and can guarantee a memorable set of photos. To inquire about our river photography, ask questions about preparation or book your own rafting adventure, contact Raft1 today.